Los equipos de deposición que Antares distribuye han sido creados por un equipo de ingenieros altamente cualificados y son usados por una gran variedad de investigadores en laboratorios de alto nivel de todo el mundo. 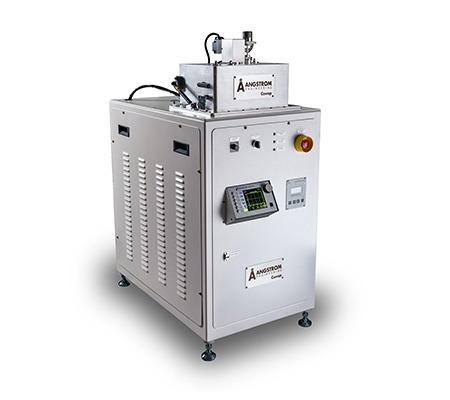 The Covap II series offers a compact economical solution suitable for many process applications. Its small size will ensure you can find a space in your lab and in your budget. Built to our high quality standards, the Covap II is available with closed loop co-deposition control, recipe storage, and a unique clam-shell chamber for improved accessibility. If your process requires glove integration the Covap II can be mounted beneath your glove box making it a zero-footprint addition. Offering custom flexibility in a compact footprint at an economical price, our Nexdep system can be built to meet your needs. Whether your process requires resistive evaporation, sputter deposition or electron beam evaporation, the Nexdep is highly capable. Its large hinged front door makes working with and cleaning the machine incredibly easy. 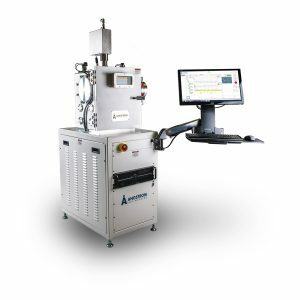 The Åmod line of thin film deposition tools was designed to meet the advanced process requirements of today’s thin film researcher. Our flagship line is fully customizable and can even be combined as part of a multi-system configuration. Our in-house developed control software smoothly integrates the various system components, keeping the right information at your fingertips. Expanding on the popularity of our Åmod line, the EvoVac’s larger size allows even more configuration flexibility. Glove box integration is improved with its wider door opening and increased chamber height allowing for a greater source to substrate distance. 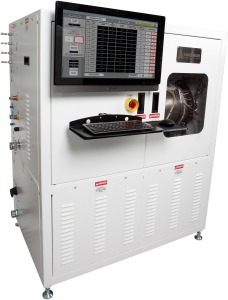 The EvoVac line is for the researcher looking for more sources and flexibility in a deposition system. 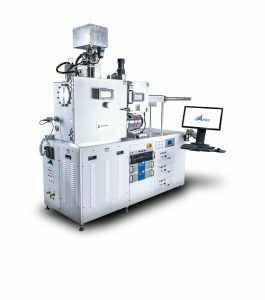 Our LPCVD (low pressure chemical vapor deposition) system is designed to meet the high temperature requirements of graphene and CNT research. To meet these requirements Angstrom engineered a water cooled furnace that can reach 1100ºC yet cool down rapidly. Various chamber tube sizes are available between ø2in and ø8in allowing processing of single small samples up to batches of 6in wafers. 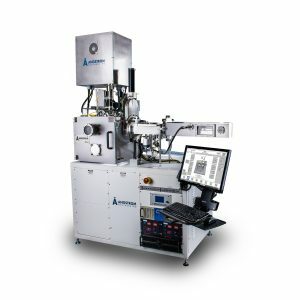 To meet the needs of the growing research market for carbon nanotubes, graphene and other 2D crystals Angstrom is offering a system which provides precise process control & process flexibility along with a history of considering user safety as paramount. A complete interlock system protects users from the extreme temperatures, process gases, and high voltages present in this type of equipment. In the event of a PC to PLC disconnect a heartbeat sensor will ensure the system is brought to a safe state. The fully automated process control system allows users to build, store and execute complex recipes up to 50 steps using a 24in touch screen interface. Data logs are stored for each process and can be downloaded via a USB interface to be analyzed using your preferred office software.